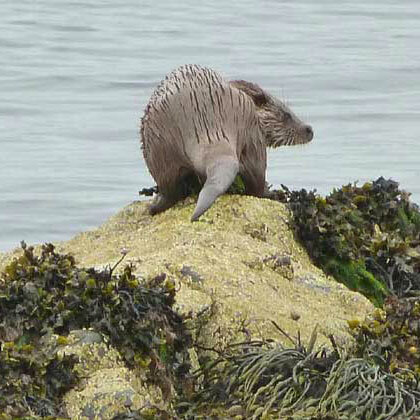 Mull Magic offers a wide variety of wildlife walks and tours throughout the year. Most of the walks are either easy or moderately graded, although the Mountain Walk provides more of a challenge. 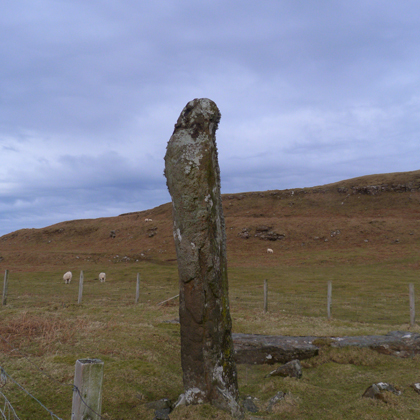 Please click on the links to the right or the images below for more details of Mull Magic's most popular days out. 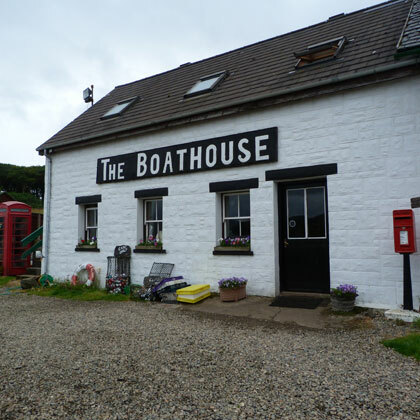 As if the stunning scenery and wondrous wildlife of the Isle of Mull were not enough, a tour would not be complete without the renowned and sumptuous Mull Magic lunch. Lunches include homemade soup & cake, freshly baked filled rolls, crisps and fruit. The walking tour ends with tea or coffee, and homemade scones with jam. Mull Magic endeavours to use local produce wherever possible, such as salad from the garden at Glengorm Castle, the famous Isle of Mull cheddar cheese from the island's very own cheese farm and the delicious Tobermory smoked salmon and trout. Please advise at time of booking of any special dietary requirements. 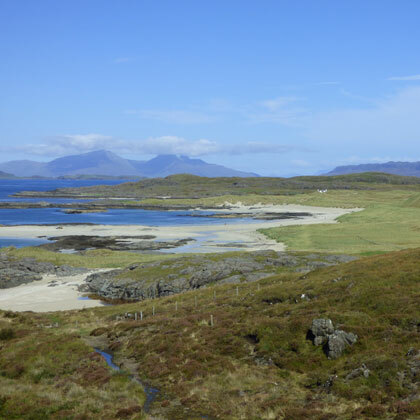 Whichever wildlife tour you decide upon, Mull Magic can guarantee a unique and stimulating adventure amid some of Scotland's most breathtaking landscapes. You will be taken on journeys of discovery that are off the beaten track and inaccessible to many visitors to the island. 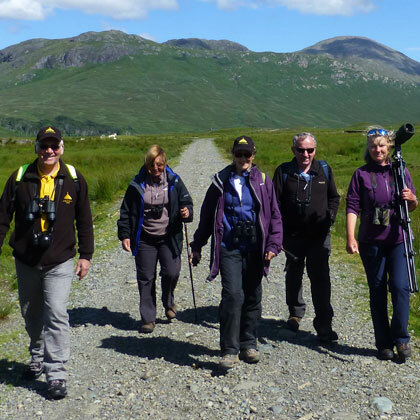 So, be inspired and open your eyes and mind to the potential of a wildlife walk with Mull Magic, an experience that truly is on the wild side! 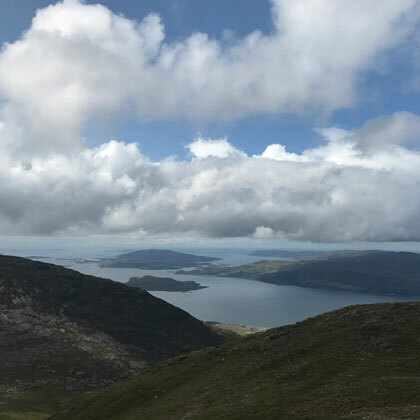 If you are in any doubt about your fitness, please do not hesitate to the Mull Magic office for further advice - the following information may be of some help. These are for reasonably fit people with some walking experience. 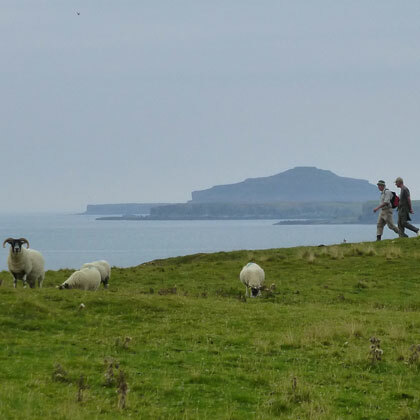 However, some walks are along rugged coastline and not well defined paths, therefore good sense of balance is essential - 5 miles maximum in distance. Walks for people who already have some walking experience and a good level of fitness. May include some steep paths, uphill and downhill terrain. Parts of the walk will be well off the beaten track. 8 miles maximum in distance. This option is for more experienced walkers with an excellent fitness level. May include hills (1500 - 3000 feet) but taken at a leisurely pace. 6 - 12 miles in distance. 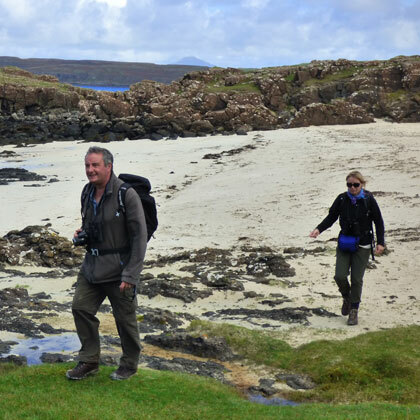 Walking boots, a small rucksack (with room for your packed lunch) and a waterproof jacket are essential on our wildlife walks. Waterproof trousers are highly recommended, as are walking poles. 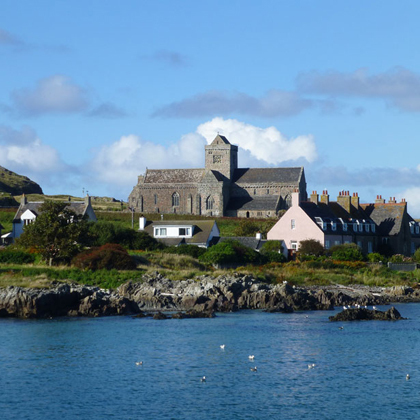 Please bring along plenty of water and if you don't have the requisite items, please contact Mull Magic in advance as some spare clothing and equipment may be available. PLEASE NOTE - All wildlife walks can be wet and muddy in places at any time of the year. You are promised a great day out but there is no guarantee you'll return with dry feet!